Jurassic crocodile fossil. This marine crocodile is being studied and questions remain about its lifestyle. It is thought it spent most of its time at sea. This hunter was one of the apex predators of the seas around Solnhofen. 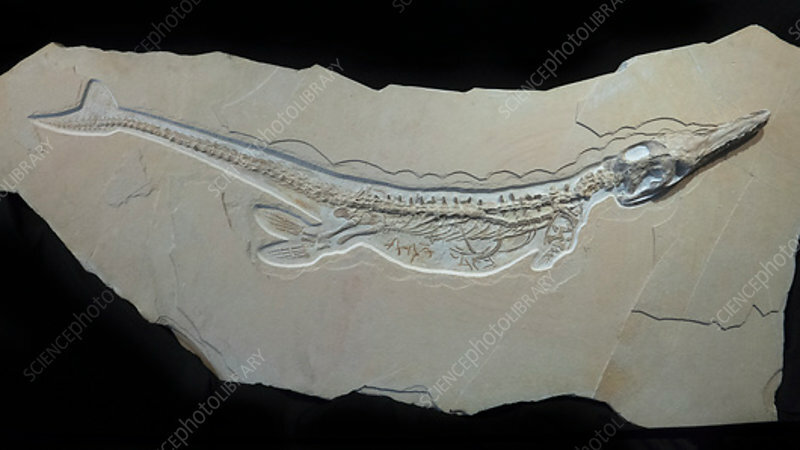 This specimen is from the Jurassic Solnhofen Lithographic Limestone found in Bavaria, Germany. The Jurassic lasted from 201 million years ago to 145 million years ago.